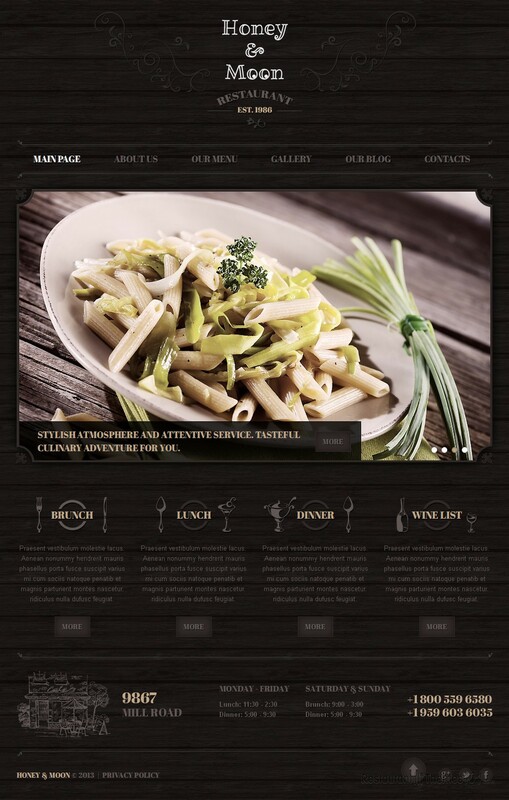 If you need an elegant, classy restaurant template for Joomla, Honey & Moon Restaurant is a great choice. Hinoriko developed the template and it is presented at Template Monster. 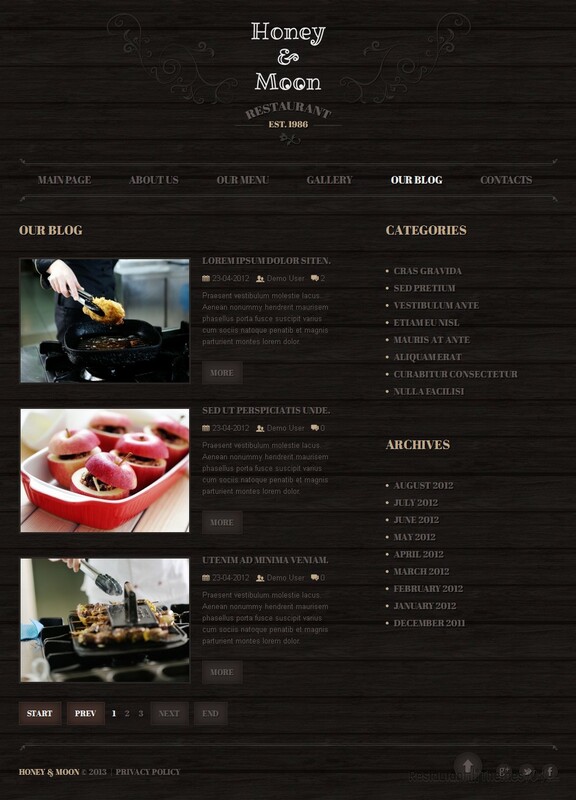 It features a dark, classy layout design that will satisfy even the most sophisticated visitors. 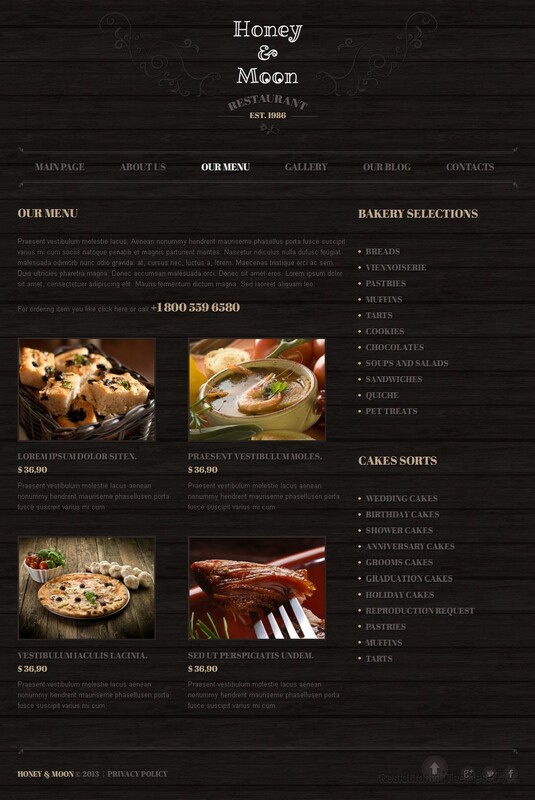 Opening up your website is going to look like stepping into an elegant place made with great taste. Beautiful baroque details enhance the whole feeling, and bring your visitors a bit of glamour and extravagance while they browse your website. A wide slider is featured on the homepage, and it represents a perfect spot for showing your most beautiful photos, no matter if you want to show the delicious servings you offer or photos of your pleasant restaurant. Anything you put in the slider will be attention grabbing so all you need to do is provide great photos and you’re done! You will be able to feature various posts under this slider, in a very nice and pretty way. Featuring any menu items will be very easy, and these homepage posts will be linked to the pages where you can tell you visitors everything you want to about your food and restaurant. Display your working hours and make it easy for everyone to know when exactly the best time for visiting your place is. The menu is very well organized and you will be able to create a great looking menu with photos and prices attached. The gallery can be created in 2, 3 and 4 columns and it gives you a lot of space for uploading quality photos and advertising your nice servings to your guests. 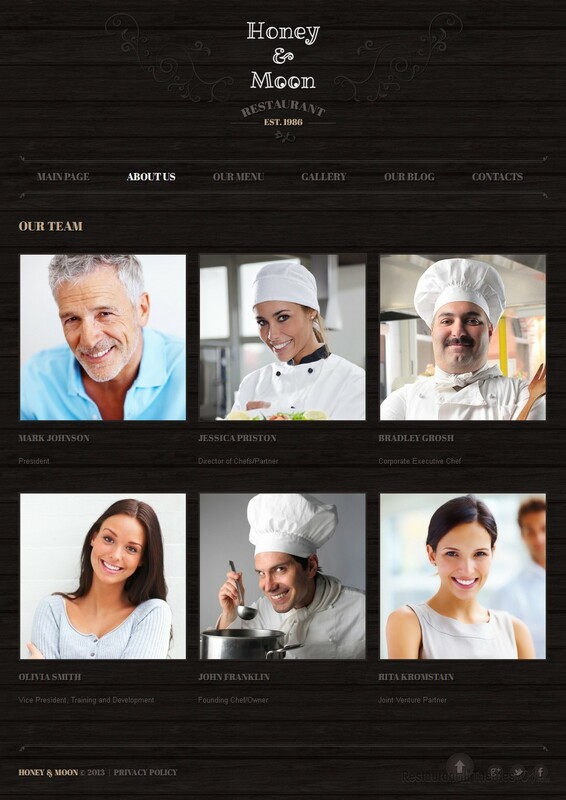 The contact page features Google Maps, giving everyone the possibility of getting clean directions to your restaurant, and there is also a nice contact form included, for everyone to be able to message you any time. 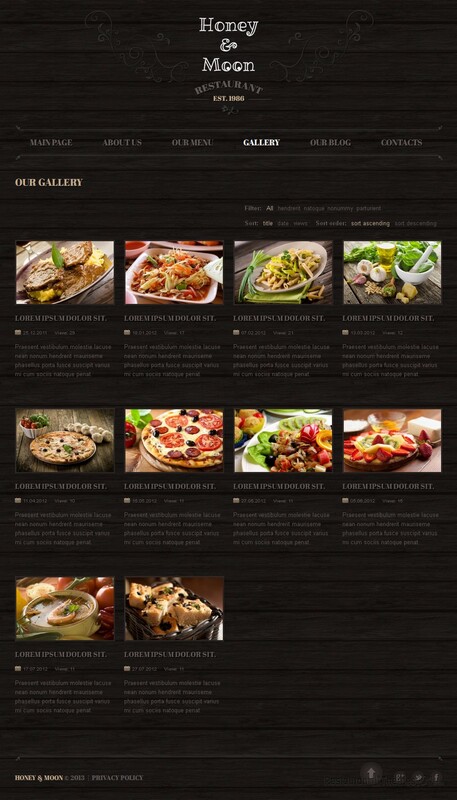 This Joomla restaurant template is both beautiful and functional.